Infanticide: Between a Woman and Her Doctor? During the 1996 partial-birth abortion debate, U.S. Senator Barbara Boxer said babies don't receive human rights until they come home from the hospital. Last night, 44 U.S. Senators affirmed that as their position on when life begins. That list includes our two Michigan senators, Gary Peters and Debbie Stabenow. The Born-Alive Abortion Survivors Protection Act (S. 311) would require that a baby born alive after a botched abortion must be afforded “the same degree” of care that would apply “to any other child born alive at the same gestational age,” including transportation to a hospital. The 2002 federal Born Alive Infant Protection Act lacks specific legal protections for children who survive botched abortions. That bill passed the U.S. Senate unanimously. Before the vote, several senators criticized the bill by saying medical decisions should be between a woman and her doctor. They focused their arguments on sick or disabled children. Prolife people see no difference between taking the life of a child an hour before birth or an hour after birth; both are wrong. Many abortion supporters will admit abortion kills a human being, but say it's justified because a woman has complete control over her body. Last night's vote about treating children outside the womb exposes that argument as an excuse. Those 44 senators agree that there is no difference between taking the life of a child an hour before birth or an hour after birth; they are for it. They are frankly admitting that abortion is not about women's rights; it's a right to a dead baby. The logic of abortion demands we dehumanize our own children by suggesting that some lives are unworthy of life. It's foolish to believe that logic doesn't ultimately extend to infanticide, and eventually to an embrace of euthanasia for adults. Three Democratic senators and one pro-abortion Republican opposed the filibuster. Every senator filibustering the bill is a Democrat. Not too long ago, many elected Democrats were prolife. Today, the abortion industry has captured the party's leadership, purging almost everyone who doesn't agree with abortion up to and even after the moment of birth. A significant portion of Democratic voters believe late-term abortions should be banned. However, the party's national leadership goes way beyond 20 weeks; they are committed to seeing no evil about infanticides in abortion facilities. Infants who survive botched abortions deserve equal treatment, not the death they were originally marked for. Let your U.S. 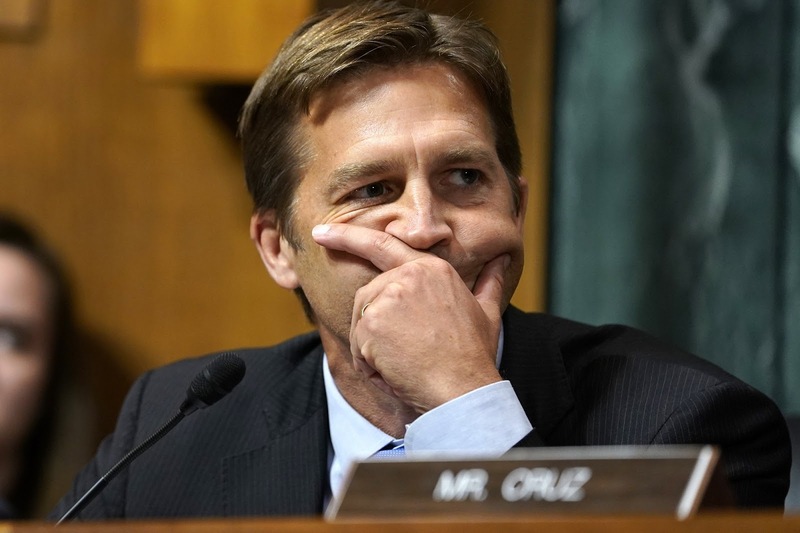 Senators know what you think about them looking the other way on infanticide. Senator Gary Peters can be reached at (202) 224-6221. 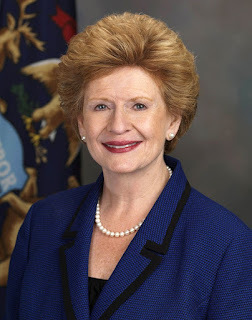 Senator Debbie Stabenow can be reached at (202) 224-4822. February is Black History Month. This celebration originally lasted one week in February, always around the birthdays of Abraham Lincoln (February 12th) and Frederick Douglass (February 14th). These men were both important influences in the Black community. Douglass dedicated his life and Lincoln sacrificed his fighting for the proposition that every member of the human race was created equal. American history is sadly tainted with numerous injustices towards the Black community. These injustices involved Black people being treated as less than human and being denied even the basic dignity and rights they deserved as human beings. 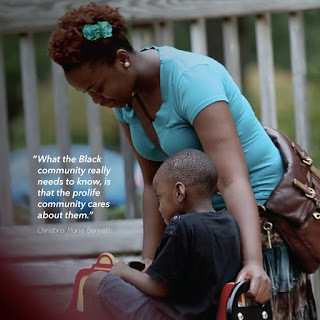 Many injustices still face the Black community today, but none are so distorted and ignored as the fact that 900 Black lives are lost daily to abortion. Planned Parenthood and the abortion industry advertises abortion as a woman's right, and something that all women must have equal access to. However, it seems that Black women have extremely disproportionate “access” to ending their child’s life though abortion. 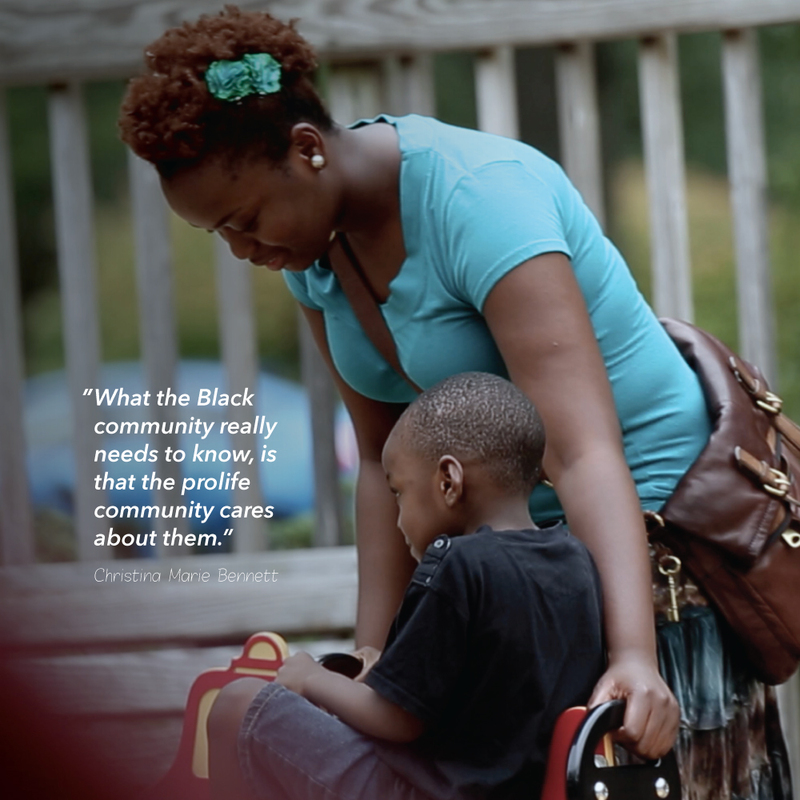 In 2015, 36% of lives ended in abortion facilities in the U.S. were Black ones, but only about 13.3% of the population is Black. In Michigan, abortions are even more disproportionately preformed on Black women. Though Black women make up only about 14% of Michigan’s female population, they had 50.6% of all reported abortions in 2017. How can someone claim to stand for justice and equality but in the same breath promote abortion? Abortion horrifically treats the unborn as less than human by taking their lives without question, and disproportionately ends the lives of Black members of our human family. Here's a fact that should be heard everywhere, but gets entirely ignored: abortion has taken more Black lives in America than every other cause of death combined since 1973. Every cause. Combined. For every Black person’s life ended by crime, accidents, cancer heart disease, or any other reason since 1973, more lives have been lost to abortion. Can anyone really claim that this is justice? More than 19 million Black lives have been aborted since 1973. Just think for a moment how much Black history has been wiped out by abortion, how many lives were denied the right to see the light of day and the opportunity to make a difference in this world. As we celebrate Black History Month, let us stand in opposition to the injustice of abortion and firmly hope that one day this will be a distant memory of another fight against injustice in American history that we worked to overcome. This new law has prolife people everywhere heartbroken and horrified. On the very same day of mourning for the 59 million lives lost over the tragic U.S. Supreme Court decisions 46 years ago, we received news that might make it seem like there is no end in sight. Days later, a similar bill failed to pass through Virginia’s legislature. 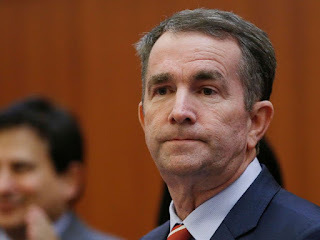 In defense of the bill's sponsor, embattled Virginia Governor Ralph Northam made a statement condoning infanticide, saying that disabled babies can be born alive and left to die. Other states with pro-abortion majorities are following suit. Governor Gretchen Whitmer has promised to do the same in Michigan, but our prolife majorities in the Legislature prevent that—for now. Taking a deeper look into these events, the tragic truth is clear: these opinions are nothing new. In fact, abortion through all nine months of pregnancy—until the day of birth—is what Roe v. Wade and Doe v. Bolton originally legalized. Roe v. Wade stated that abortions in the third trimester could be banned as long as an exception existed if the woman’s health was in danger, but Doe v. Bolton expanded this idea of "health" to mean whatever the woman or abortionist wanted. The Court Opinion defines health as any factor, "physical, emotional, psychological, familial, and the woman’s age—relevant to the well-being of the patient." Put simply, the Supreme Court legalized abortion at any time and for any reason. States can ban late-term abortions as long as they allow them for any reason. The purpose of the New York's new law was simply to ensure that abortions at any time and for any reason will continue be legal in New York when Roe v. Wade and Doe v. Bolton are finally overturned by the Supreme Court. These laws are simply a defense of the barbaric status quo. Condoning infanticide and devaluing the life of humans even after birth has also sadly been done before. One example was during the 1996 debate on legislation to end the partial-birth abortion procedure. In her support for the procedure, then U.S. Senator Barbara Boxer stated that the baby does not have rights until it leaves the hospital: "I think when you bring your baby home, when your baby is born--and there is no such thing as partial birth--the baby belongs to your family and has all the rights." President Barack Obama helped lead efforts to fight legislation in the Illinois Legislature to protect infants born alive after botched abortions. Poor media coverage, an unwillingness to discuss this topic on all sides, and the refusal of most pro-abortion advocates to plainly state their radical beliefs have blinded a majority of people to the gravity of the abortion issue and the extent which it already has its grip on this culture. How can we expect abortion's grip to loosen? Only when people will stop looking away from this issue of life and death. Perhaps the silver lining in the recent events in Virginia and New York is that people are taking notice. The extreme opinions that have always been around are finally getting the attention they demand. We must work harder to expose abortion for what it is, and call people to act against it. If you'd like to get involved in your local community to build a culture that defends our innocent unborn and newborn children, click here to get connected to your local Right to Life of Michigan affiliate.